A typical day of a person, he/ she wakes up, grooms him/herself, sets out for work, and on the way, he keeps thinking about how much he hates to work and what if this was a weekend. Starts the desperate wait of weekend. Come weekend, gone in parties, booze, shopping, movies, and again the week strikes and cycle begins. It is as if we are dead 5 days in a week and again become alive on the last day. What will shock you is both style of living, weekdays and weekends is not real life. 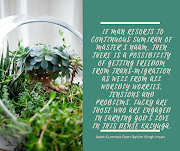 Life is when you live in the moment, experiencing every activity at the soul level, as you would have heard in many lectures of life style Gurus. And, moment, by moment you make your life complete. Every moment worth lived completes your life. So where exactly is this, life lost. Well, you may be surprised to know, everything is in place, except for you. Your willpower is ditching you, essentially the power of the soul, is will power. The qualities- power to endure, love, patience, kindness, control, all lies in will power. And we are doing nothing to earn this. So our most significant wealth is depleting and we don’t even have means to increase it, in our modern lifestyle. How can you earn willpower? Well, through meditation. 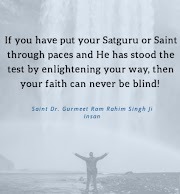 A true Guru, can give you God’s name or God’s words, basically the name with which you can call out to him and connect with him. 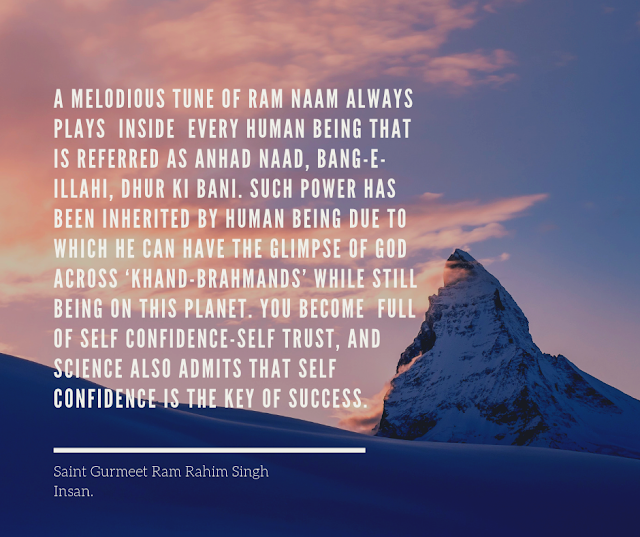 Meditations like charging yourself with the powerhouse of energy, exhorts Baba Ram Rahim. And once you meditate regularly you build a permanent connection with the powerhouse that never lets you dry. Thus follows true happiness, confidence, patience, self-control, and capability to fight your inner negativity. And positivity starts to build, you learn to control your thoughts and win over yourself in true sense. 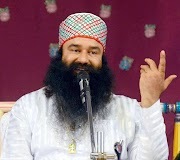 Gurmeet Ram Rahim Singh’s millions of followers are live examples. It is amazing how millions sit together and practice meditation and connect at a spiritual level, the whole place sends out vibrations of positivity and bliss. 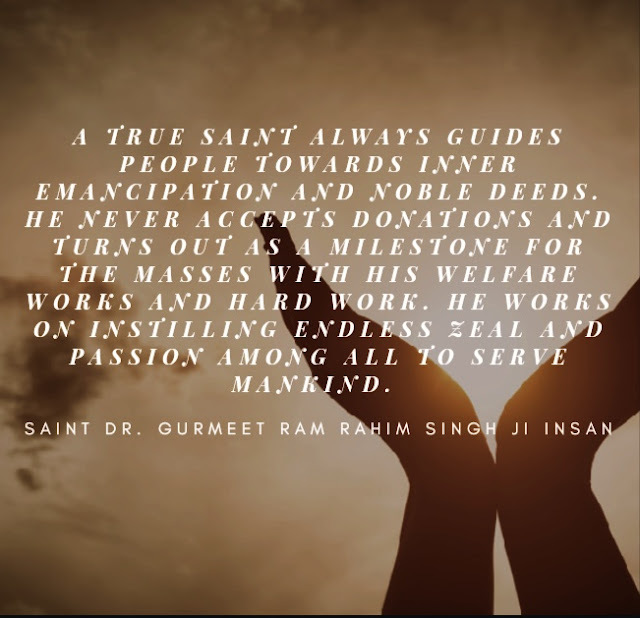 There is no heaven better than this place, where millions practice this form of meditation and follow true spirituality and this is Dera Sacha Sauda, Sirsa.